I have got something special for you here. I mean really, who wouldn’t want a Pizza Meatball Dip? Cheesy hot pizza tasting meat balls will have you wondering why you never thought of this before. Better still it’s easy. I wanted to make you something really easy to make when you have a few people over, or even when you don’t. Friday night in front of the TV? Yep, I got you. 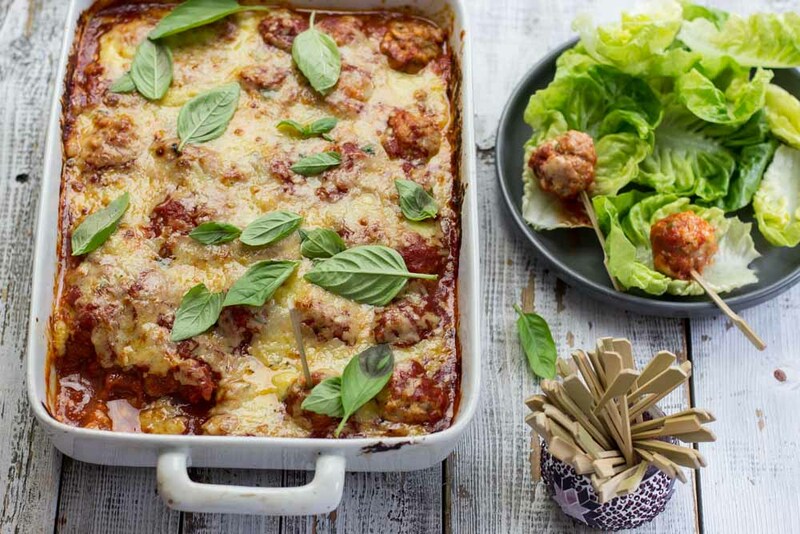 Pizza Meatball Dip. 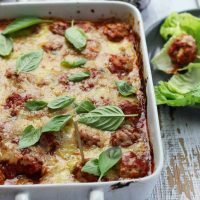 There’s a few positives about this Pizza Meatball Dip recipe, besides the fact it tastes good……. For a start you can eat it with toothpicks or a fork. Your choice. 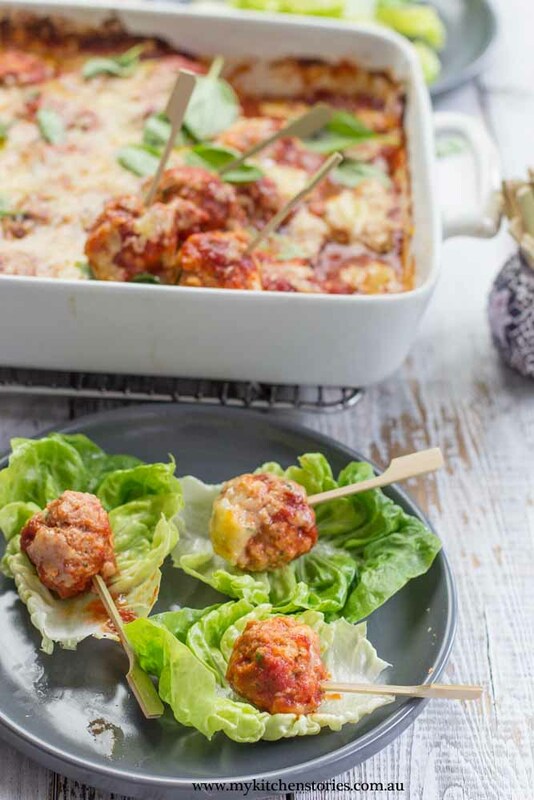 Pick up those little Pizza Meatballs and wrap them in lettuce. Too healthy? OK. Wrap them in flat bread, garlic bread, gluten free bread…… whatever you like. You can also do what I did when I found myself with three trays of these. Boil some pasta and serve them mixed into that, because they make a great pasta sauce too. There no limit to these! Make the meatballs smaller if you like too so they are tiny and bite-sized. They are really cute as tiny little toothpick morsels. All you need is a few everyday ingredients and you have it. Add anything you want to yours, for example you could add loads more cheese on top! Mozzarella would make it pretty nice if you like that long stringy pizza feel. You could also add chilli or more herbs. It’s really up to you. I am thinking you could also put the entire (oven proof) tray onto the BBQ and cook it outdoors too. I use a nice presentable dish so it goes from oven to table– less washing up. 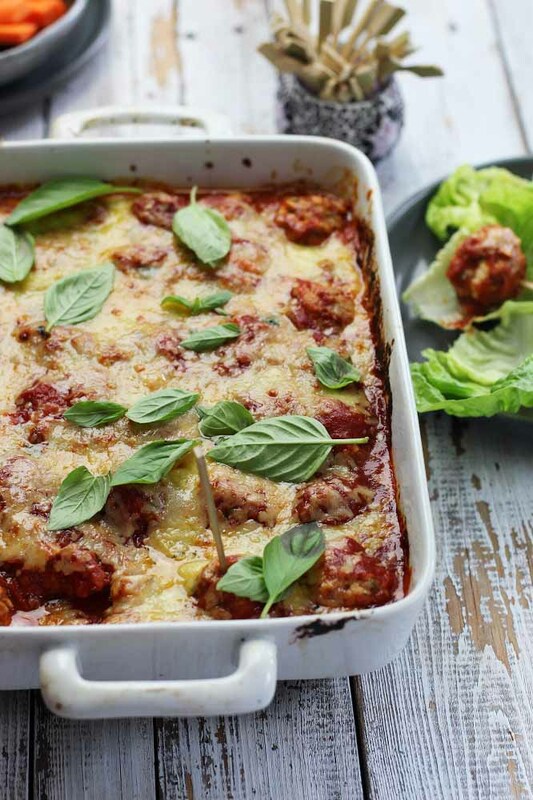 For more Meatball recipes try these ones. Meatball Pasta bake or this Chicken and Parmesan balls or Beef and Feta Meatballs with rye flatbread. Have you tried Salmon Meatballs? Here’s the video, just to give you an idea how easy this is. Perfectly good for family or friends and so easy it will surprise you. This recipe will make approximately 18-20 balls Set the oven to 200 C / 400 F Find an oven proof dish. Now in a bowl add the Pork, garlic, egg, crumbs, herbs and spices and the crumbled feta. Mix well with your hands till combined. Approx 5 minutes. Take equal sized pieces of meat and roll into balls. The mixture should make 28-30 balls. Put each ball into a (serving) baking dish that will take them all in a single layer. Pour over 2 jars of pasta sauce and cover the top with cheese. Serve with toothpicks, lettuce cups and bread. Make sure you use a thick pasta sauce and NOT passata (tomato puree), this is too runny. Apart from that go for it! PS. Don't add salt the feta provides enough.